Last week I was driving through Lakewood, NJ when a sudden flash of inspiration hit, and in blinking lights it read Gelbstein’s Bakery. It’s not the first time this inspiration has hit me, but it was the first time in a long time that I could do anything about it. For last week, I was wearing pants instead of shorts. A little explanation: Gelbstein’s is located in the heart of a city made up largely of Hasidic citizens. These folks are strict when it comes to clothing, and when it comes to women, the less skin showing, the better. So when I realized I had on pants, it was a green light to visit Gelbstein’s. I didn’t want to go while wearing shorts because it would be disrespectful, first off. And as it was, I had on my usual summer uniform of t shirt, flip flops and surfer bracelets. Any more and it would have looked like I was filming an episode of The Little Lost Shiksa. Another reason why I went: I was in the mood for an adventure. Not sure about you, but every now and again, usually when life is going really well or when I need a life shake-up of sorts, I get a craving to do something loopy. This time was a life-is-going-really-well adventure craving. But whatever the motivation, I make myself follow it, and I’ve never regretted it. 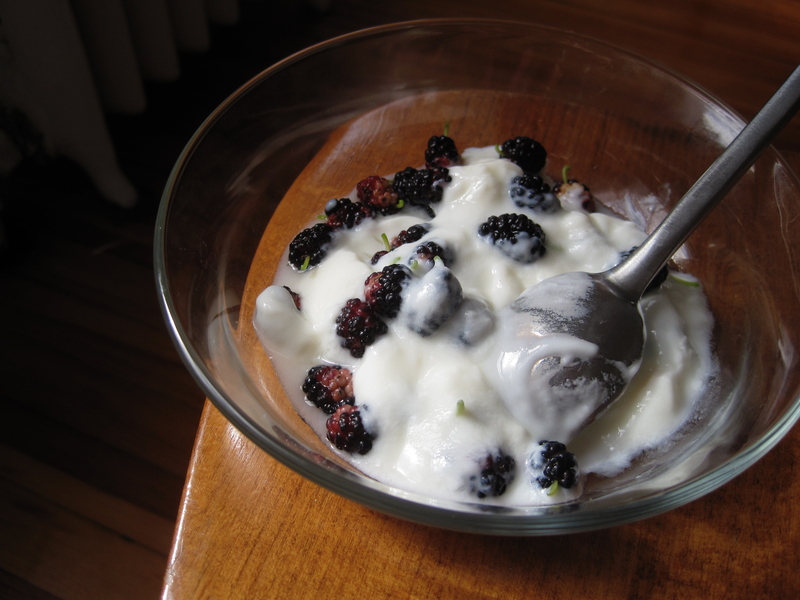 The bakery, its clientele and its products are unlike anything I am used to. Perfect. Gelbstein’s has been in business for nearly 30 years. My dad used to rave about them, curling his arms out in front from the waist, and saying, ‘Rye breads like this!’ They still offer incredible ryes (although not as gigantic as hyped) but all of their breads are unique and fresh. You can taste it, honestly. Something else that’s unique about Gelbstein’s: It’s a small place, yet most of their goods are right out on the floor in bins or packed on full sheet pans, accessible to our greedy little hands. I asked a shop girl who was refilling the bins where I could get a bag, and she pushed a bunch of huge plastic sleeves into my hands. It was Friday—Shabbos—which is punctuated by an evening meal at which two loaves of eggy, braided, pully breads are the stars, so she figured I was planning to load all of the bags to capacity. That Shabbos bread, challah, was featured in easily half a dozen ways, but I chose a few little loaf about the size of three stacked bagels and shaped almost like a brioche, with a lumpy knot on top. I’ve never seen loaves that size or shape. They were sprinkled with sesame and poppy seeds and yummy little bits of onion. 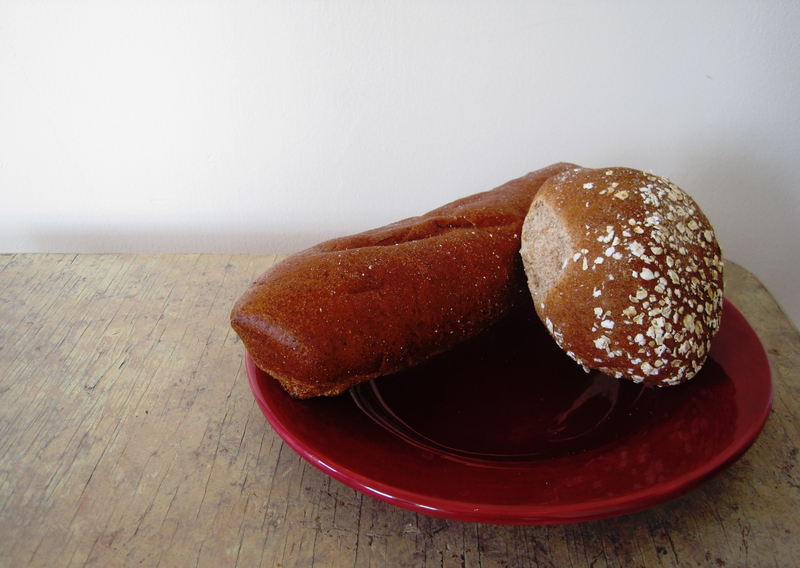 I also took a couple of whole wheat buns topped with oats and a little whole wheat baguette. The service made me smile because it felt as if I was in the city*; it was all business. They’re the type of place that is so busy that there’s not much time to discuss what grade your youngest is in now or whether the rain is supposed to stop on Wednesday or Thursday. ‘How many?’ barked the petite lady behind the counter. She picked up my bag, counted its contents, and dropped it back on the counter. Not placed—dropped. 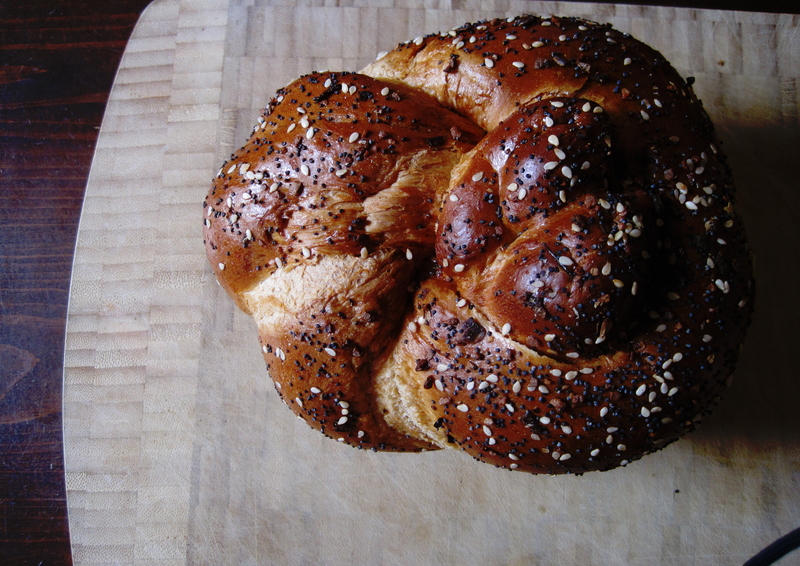 When I got home, I took the shot above and then pulled off that challah’s fat knot and gobbled it up. Then I sliced the roll in half, loaded it with wild salmon that I mixed a little mayo and some capers into, and ate that, too. A loopy excursion that ends with a great lunch is my idea of the perfect adventure. *I know everyone means something different when they say ‘the city’. In north and central New Jersey, we means New York. When South Jersey says it, they mean Philly.